Picked all these plus 1 more basket. 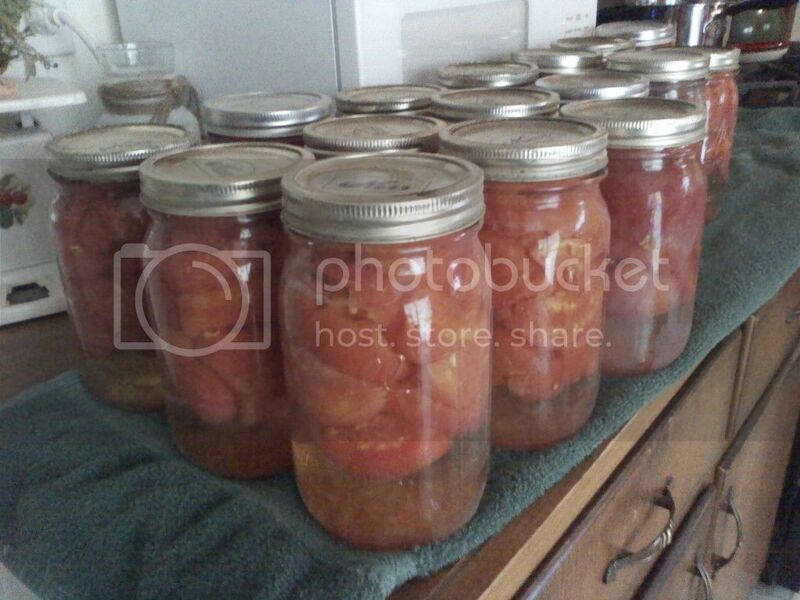 Looks like tomorrow is canning day. These are a few jars of juice we did last week. Oh, fun! All I have are some green ones. When you say juice is that drinking juice or like to make sauce? PunkRotten wrote: When you say juice is that drinking juice or like to make sauce? What kind of tomatoes are you using? Im disappointed with the size of the fruit. 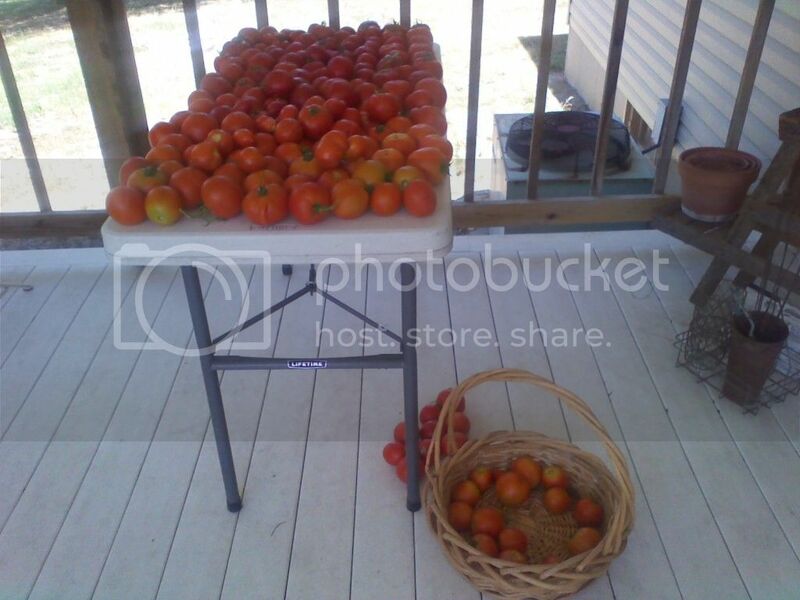 They are usually 1/3 bigger than these maters, but with the drought and heat Im thankfull I have any at all. Well than, that there is a nice harvest. 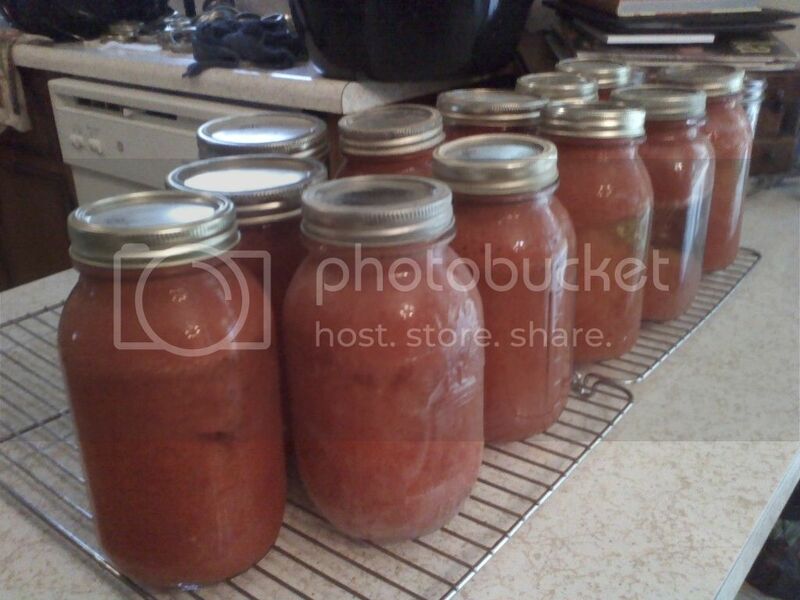 Myabe you could come help me with my canning. I'm in the area. Somewhat I am west of St Lou. I am in the same boat as you weather wise and I can't belive the amount I have been getting in my small garden. Good luck to you and me. My leaves have been curled since........well I can't remember that far back. 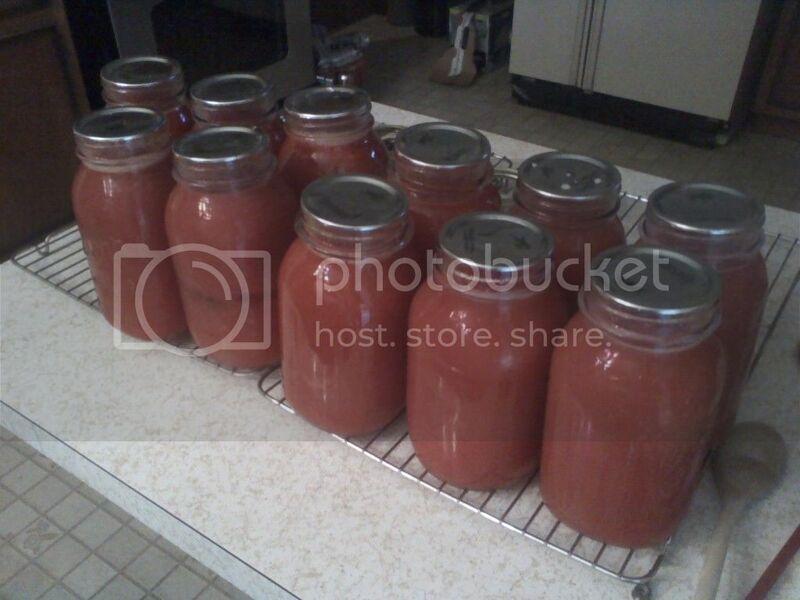 I run the remaining pulp and skin through a medium hole foodmill to make tomato sauce, etc. Here is what they turned into. We use the juice for drinking, chili, mexican food, casseroles, and Bloody Marys. We just quarter and blanch in boiling water, than process thru the juicer removing the skins and seeds. Jar with 1 teaspoon of salt and boil bath for 45 minuets. Picked my first cuke baby today!!! !